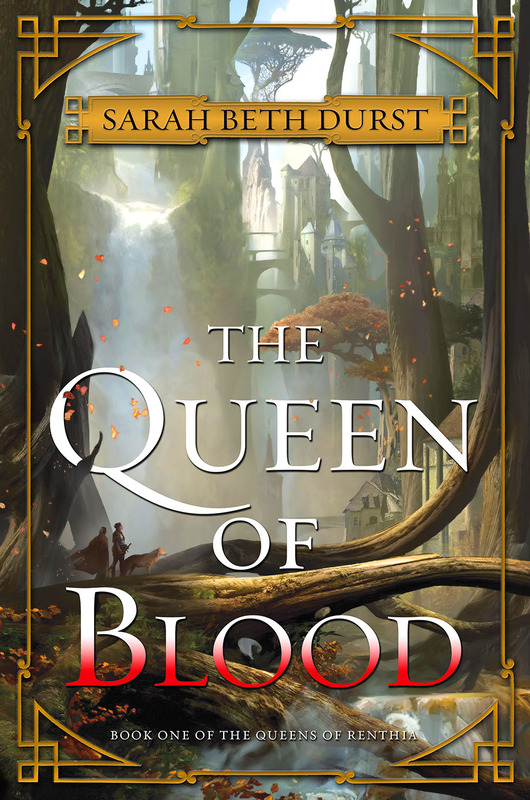 Cover Reveal for THE QUEEN OF BLOOD! 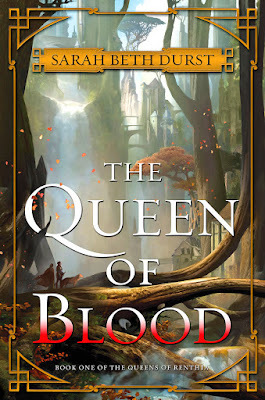 Last week, Barnes & Noble revealed the cover for my upcoming epic fantasy novel, THE QUEEN OF BLOOD! I can sum up my reaction in a single word (or letter! ): "Eeeeeeeeeeeeeeeeeeee!!!!" I am so, so, so thrilled with it and so excited to share it with you! The B&N post also includes an interview with me and the amazing artist Stephan Martiniere about the cover creation process. I am so honored to have Stephan Martiniere's art on my book. I've admired his work for some time, and I think he did an absolutely fantastic job in capturing the feel of the novel and the grandeur of the forests of Renthia. Thank you so much to Stephan, my editor David, and the wonderful art department at Harper!!! With the position so precarious, young women are chosen to train as heirs. Daleina, a seemingly quiet academy student, is under no illusions as to her claim to the throne, but simply wants to right the wrongs that have befallen the land. Ven, a disgraced champion, has spent his exile secretly fighting against the growing number of spirit attacks. Joining forces, these daring partners embark on a treacherous quest to find the source of the spirits' restlessness -- a journey that will test their courage and trust, and force them to stand against both enemies and friends to save their land . . . before it's bathed in blood. I had the most wonderful writing experience working on this book! It was pure joy from start to finish. Every day felt like walking into another world. THE QUEEN OF BLOOD will be out on September 20th from Harper Voyager, and I can't wait for you to come walking in Renthia with me!